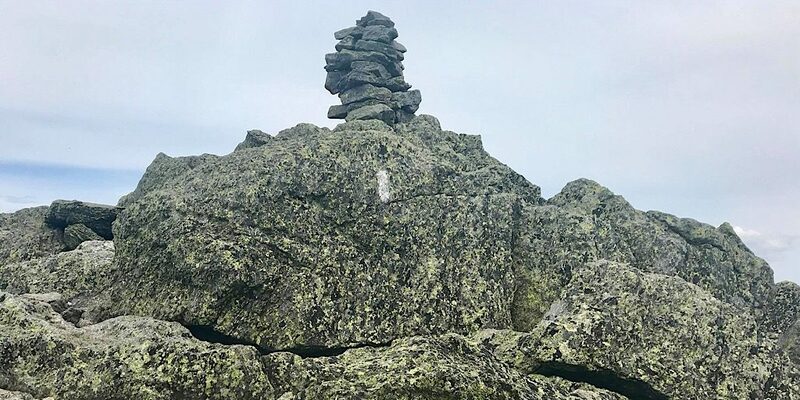 In longhand that refers to the traversing the three mountains — Mts Jefferson, Adams, and Madison (5716′, 5799′, and 5366′, respectively) — that qualify as NH 4000-footers on the northern end of New Hampshire’s hopelessly rugged Presidential Range. And that’s what returning guest Linda did under the watchful eye of Redline Guide Jean Lee during a one-day crossing. As per our plan the duo started on the west end ascending the spectacular Caps Ridge Trail. Starting here was no accident. One begins at an elevation of just over 3000′ so that removes some of the heavy lifting. 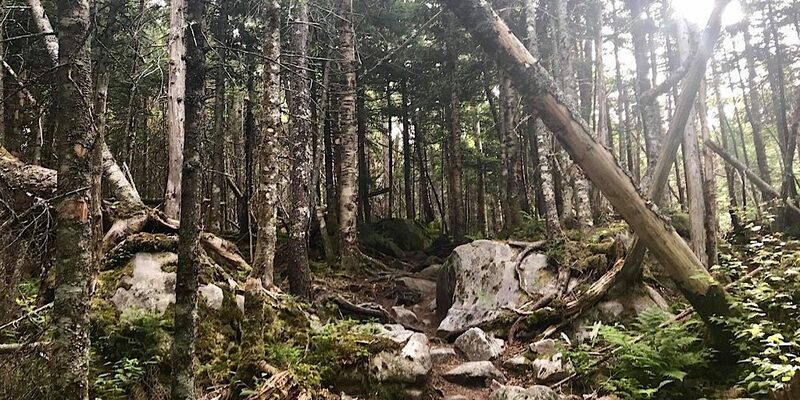 Moreover, the two were rewarded early for their efforts reaching treeline in just over a mile allowing for views early on — not to mention all the fun scrambles that trail is known for. 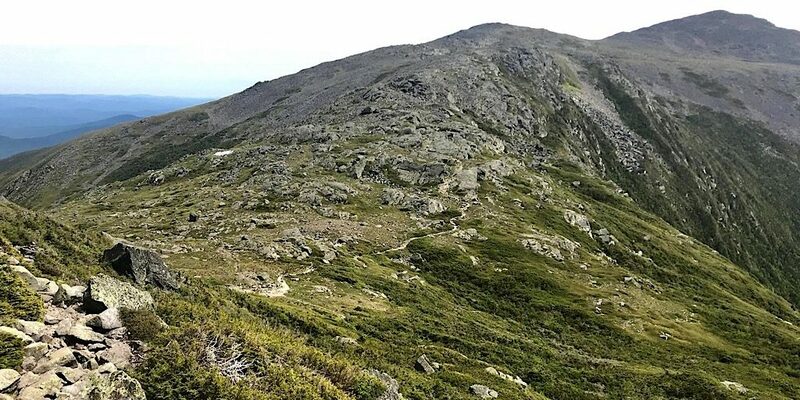 Not many routes in the Presidentials deliver so much, so quickly. 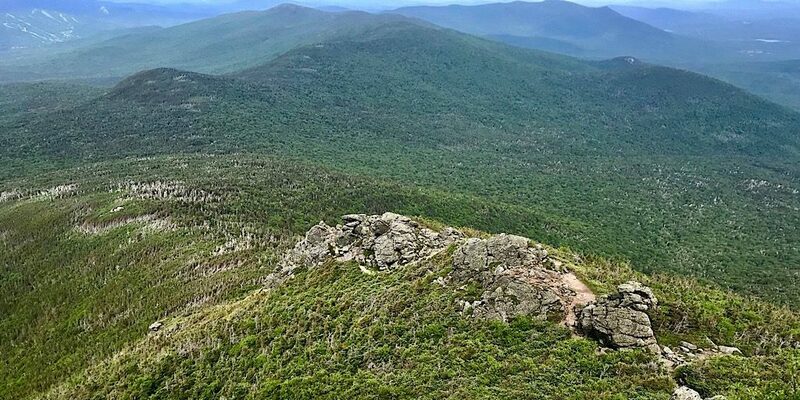 The exit route, as planned, was via the Daniel Webster Scout Trail so as to maximize the alpine experience without repeating any steps — and being that this is the shortest, most direct way to do this. 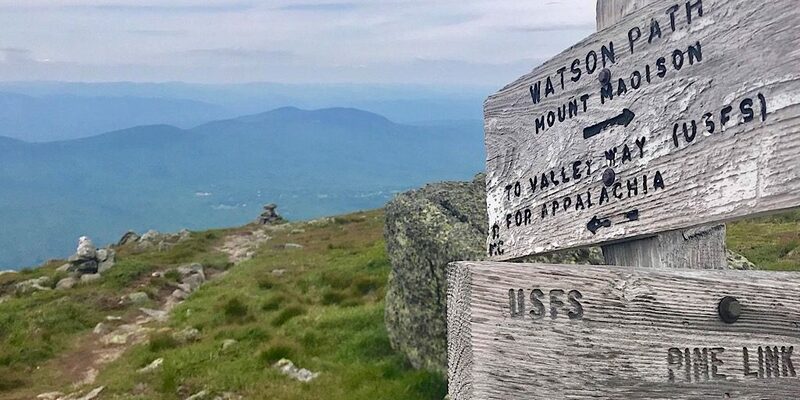 Due to the parking situation on the exit end, however, Jean opted to change up the plan making Watson Path the initial descent route. 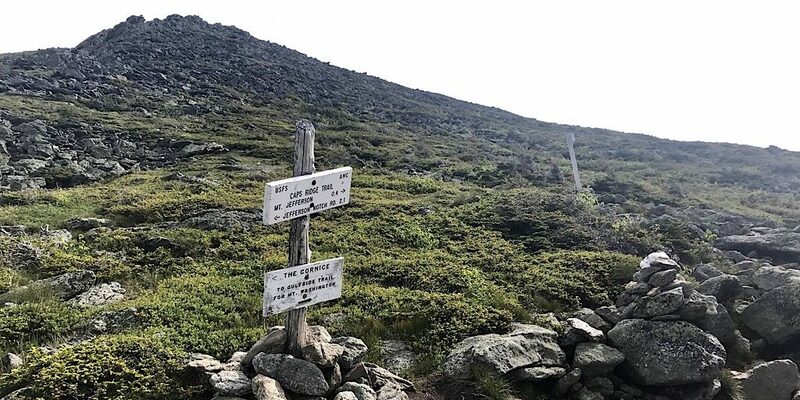 As some know, this is a demanding, leg burning trail that never gives in on the way up, but it was a good choice for the exit adding mere tenths of mileage and a only hundred feet or so of gain to the overall numbers. As a result on the driving end they saved a good ten minutes and some hassles with parking. 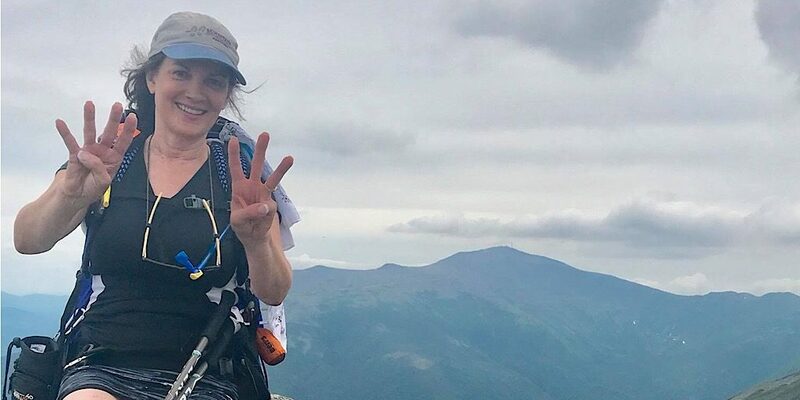 It should be noted that this trip was extra special for Linda as she is working on completing her New Hampshire 48 4000-footers and these three, Jefferson, Adams, and Madison were numbers 41, 42, and 43 for her, respectively. Those three tough ones are now out of the way. Way to go, Linda! Jean wasn’t able to take photos, but thankfully Linda is a photographer and was kind enough to allow us use of her photos for this posting. Thank you very much, Linda. These are terrific! Caps Ridge Trail is pretty from the start and gets better as it climbs higher. Before long they are above treeline looking back at the 900 feet they just gained. Turning here they make their way directly for the Jefferson summit. Right now they are working hard but happy. Before long they summit Jefferson then begin making their way toward Mt Adams (main summit is far right). 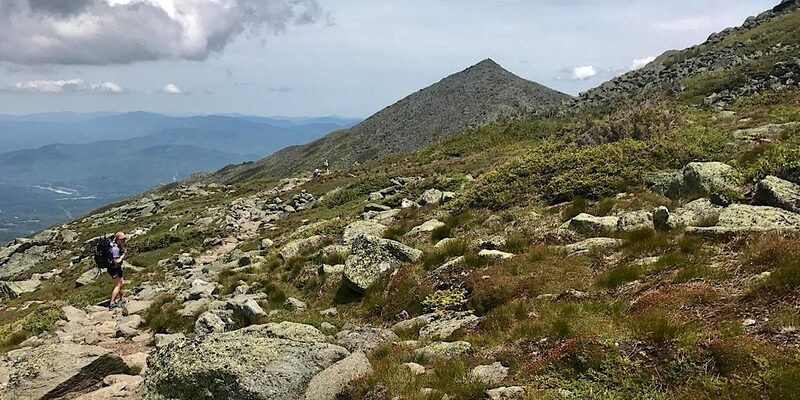 After summiting Mt Adams (see inset photo at top of page) they make their way toward Madison, Jean leading the way. That was easy. After stopping at the hut for a nice break, the Madison summit was finally in their grasps. Madison is number forty-three and is done. Only five mountains are left! Congratulations to you! Jean decides Watson Path will work better for the descent, with very few and minor negatives. 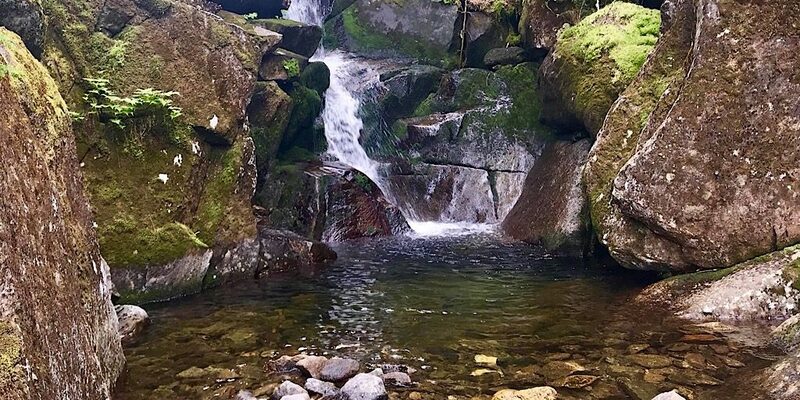 As they approach the Appalachia trailhead they pass many of the lovely falls enroute. 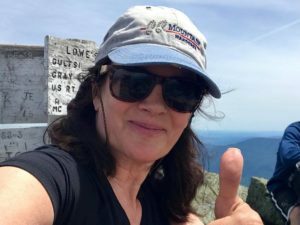 Congratulations on completing this wicked traverse, Linda, and getting that much closer to finishing your list. And, Jean, good job on your first lead with us. Well done on the decision-making and leadership.